Amazon is offering the iClever Boost strip today for just $16 when you use the promo code IC3A4UPS at checkout. The iClever BoostStrip is ideal for putting on your desk or your nightstand. It features four USB ports and three power outlets which pretty much means you can charge all of your devices. What’s even cooler is the little groove in the middle that lets you rest your smartphone. 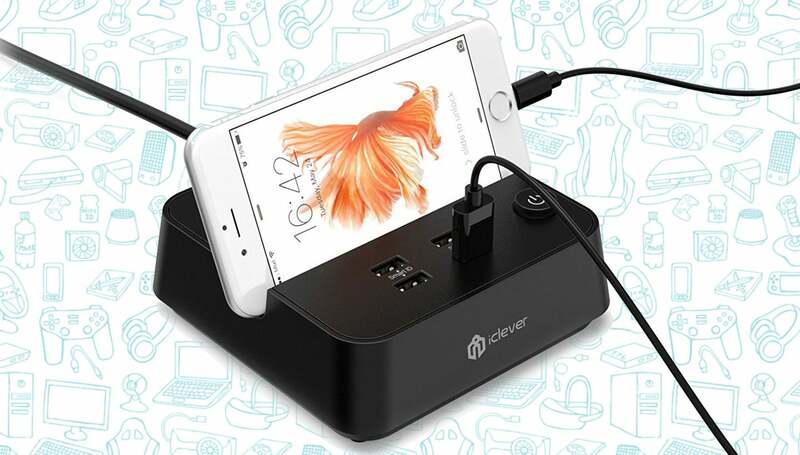 At 1250W, this little strip can charge up all your devices and even power up your computer and monitor. Just be sure to use the promo code IC3A4UPS.